Our 6000 square foot facility is located just off Interstate 41 in Appleton, Wisconsin. 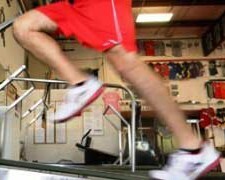 Our facility offers speedmills, weight training equipment, plyometric training equipment and other various training tools to help athletes run faster, jump higher and become stronger. Our facility allows us to train athletes in many sports, such as baseball, basketball, football, softball and track & field, just to name a few. 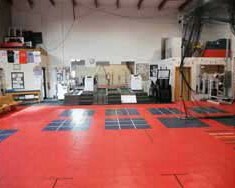 We have enough equipment and space to host large group and team trainings as well. Contact us today for more information! 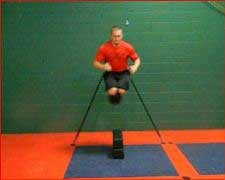 Janelle working on her leg strength with our backpedaling speedmill workouts.